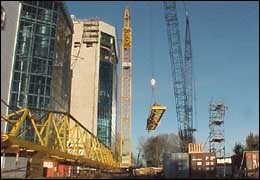 A-Z Rigging and Scaffolding offer a tower crane erection service. We have competent rigging crews that will erect your tower crane on a lump sum or fixed price. Removing the jib section on the Babcock tower crane at the No5 Dryer job at Fonterra Te Rapa. 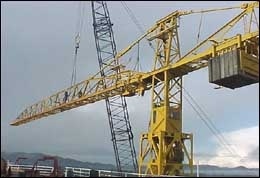 Preparing the Babcock tower crane for dismantling at the No5 Dryer job at the Fonterra Te Rapa. ...we would like to thank you and your staff for the efforts everyone put into making this a successful shut...your efforts were very much appreciated."